You have to start somewhere. A brand new year, now almost 360 blank days to be invented and packed with new exciting experiences, a new house to be filled with memories and laughter, music, dinners, familiar faces and new friends. It’s also a new year of work that needs to be shaped, just a few ongoing projects for the moment but I have the crystal clear feeling that this is the way, and I will pursue my dreams in a path made of food, writing and pictures. We have a year ahead, and it will be completely and amazingly new, I’ve never had a stronger feeling. I want it to be new and exciting and I will struggle to make it brilliant, and I already know that we will have so much fun. The air vibrates at the beginning of the new year, it is full of expectations, we’ll make sure to not disappoint them. You have to start somewhere and create new reassuring habits, something that in the never ending flowing of the days could bring you back to your comfort zone, the safety of your kitchen. There will be good days and bad days, calm days or busy days with cooking classes and photos to be delivered, but there will always be breakfast. It will always be with my pajamas, sitting at the kitchen table and looking outside at the fields in front of the house. They are now dressed with the cool colours of winter, but they are already hiding the splendor that will cover them in spring with thin blades of green newborn wheat, and in summer they will explode into sinuous golden waves that will move to the warm wind which comes from the sea. There will always be a cake, especially after the weekend, and it will stand there in the middle of the table for friends coming in the afternoon, or later, because two slices of cake on a cake stand in the centre of the kitchen table create immediately a feeling of home, and I need this feeling of warmth to accompany me throughout the day. And if you come, be sure you’ll always find also tea or coffee, just ask. Wherever you may mix the ingredients, grease a tin, choose the flavours and bake a cake is home, your home, at least for those moments where it grows in the oven and the good smell of butter and sugar lingers in the kitchen. 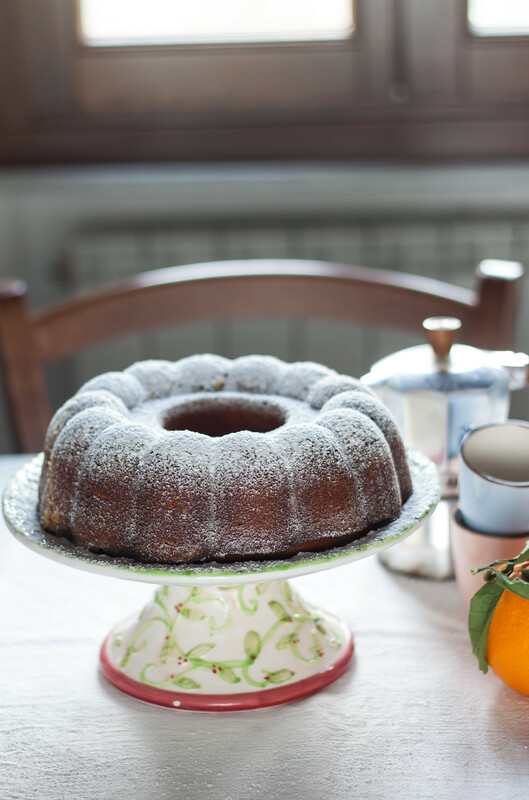 This butternut squash cake, made for the first time a few months ago for the October issue of Dolci Tentazioni, just reminds me the good smell of home, of a welcoming kitchen, of a quiet breakfast at the kitchen table. Since then I baked the cake several times, fascinated by the moist texture given by the butternut squash pureed with yogurt. Just like a carrot cake, it conceals a good deal of vegetables and stays fresh for a few days, making it the perfect breakfast cake. The butternut squash is warmed by a teaspoon of grated nutmeg, a spice that goes perfectly with a cup of milk or black tea. Blend the butternut squash and the yogurt with an immersion blender. Beat the eggs and sugar with the electric whisk, then add the melted butter. Stir in the butternut purée, then fold in the flour sifted with potato starch, baking powder and nutmeg. Grease and dust lightly with flour a 24 cm large ring cake pan. Scrape the batter into the pan. Bake the cake in the preheated oven for about one hour until golden brown and dry inside. Remove the cake from the pan and let cool down completely on a wire rack. Dust with icing sugar before serving. With a bright orange slice of cake I wish you a very Happy New Year: are you ready for another exciting journey? The Italian breakfast, spelt flour and cocoa ring cake. 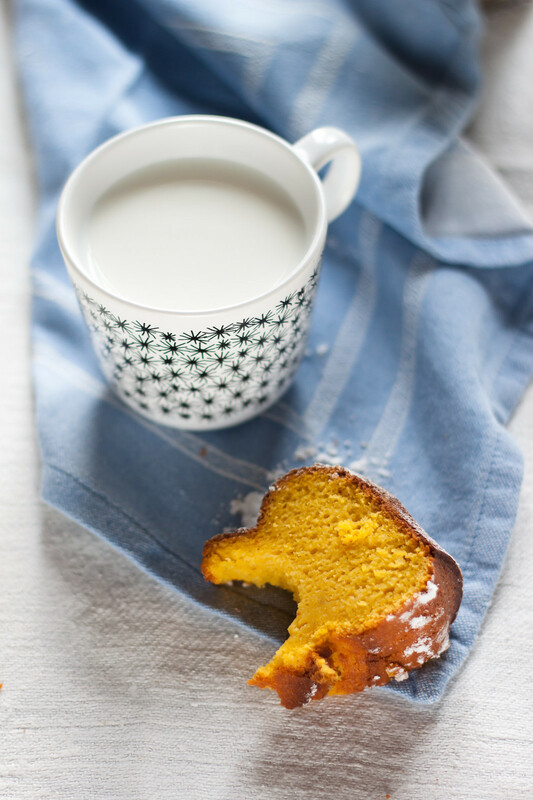 Guest post for Kulsum of Journey Kitchen Tuscan Nutella and meringue tart Artusi’s potato cake from a century old recipe Gluten free butternut squash bundt cake. Things you bake after a walk. A beautiful cake and wonderful way of opening this year’s blogging session! This cake looks so good, I think a slice would make a perfect breakfast! I love the nutmeg. This cake looks so moist! I love baking with butternut squash. The last photo is brilliant! BTW, did you put the squash raw in the cake? Just found your blog and OMG, your photo’s are so beautiful with some amazing recipes. This cake looks so moist and delicious. I spent the last couple of days reading your blog.. and I mean truly reading it, page after page and when came to the last one I was sad it’s over! I can only say you are amazing, enjoyed all your receipts, pictures and your words and stories. Going by yourself was probably a difficult decision to take, but seems was the right one and I just wish sometime I will be nothing more than a countrygirl, doing whatever would make me happy as well! This is really flattering, I am rally touched! What a beautifully written post!! It totally made me want to bake a cake, this cake, to greet friends/family when they come over. Looks delicious! Whenever I see bundt cake I will be reminded of the movie “Big fat Greek Wedding” 🙂 I loved reading your post. You write so beautifully. I love the use of butternut squash. Happy 2013 to you! heheheh! omg, I do love that movie!! Giulia, this cake looks so delicious! This looks beautiful and delicious! Must try. I discovered your blog recently, and have been reading through it. It’s lovely! 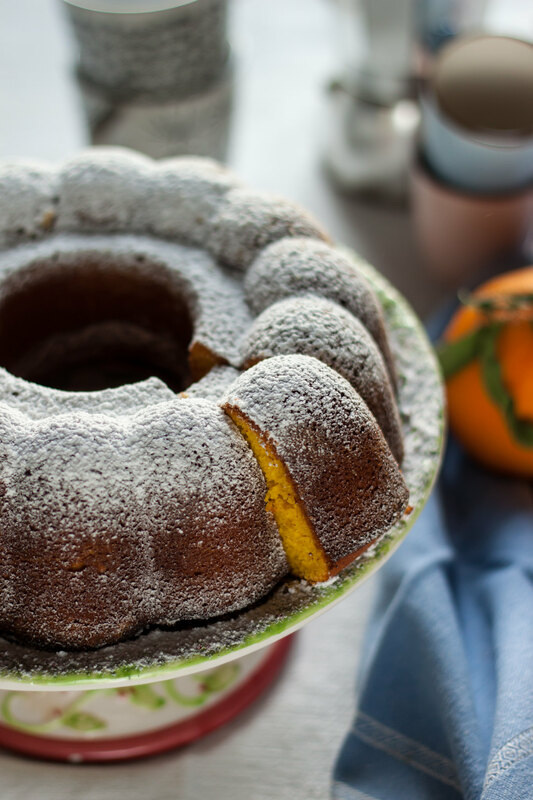 I really like the idea of this cake and planning to make it soon, but just need to be sure about something – do you bake or cook the butternut squash at all, before using it in the cake, or do you use it raw (like in carrot cake)? If it’s cooked, is 350g before cooking or after? Hello Yael, I am sorry for my late answer, I just saw your message! I use butternut squash raw, just as in a carrot cake! let me know if you like it, I miss autumn also for this cake! Finally made the cake last week! It was a great success (people were quite surprised to hear there’s butternut squash in it, I’m not sure if that’s good or bad…) and the colour is lovely, and I like the simple and delicate flavour.